Sometimes, a felted design might have extensions or extremities that stand out from the body of a piece — arms and legs, for instance. It is possible to construct them totally from wool, but to make them rigid, positionable, or weight bearing, an armature solves the problem. I’ve had some projects where I’ve had to use an armature to make it work. My Daredevil horse never would have been able to stand on those spindly legs without one. An armature is a simple frame of twisted wire that acts as a skeleton for a sculpture. 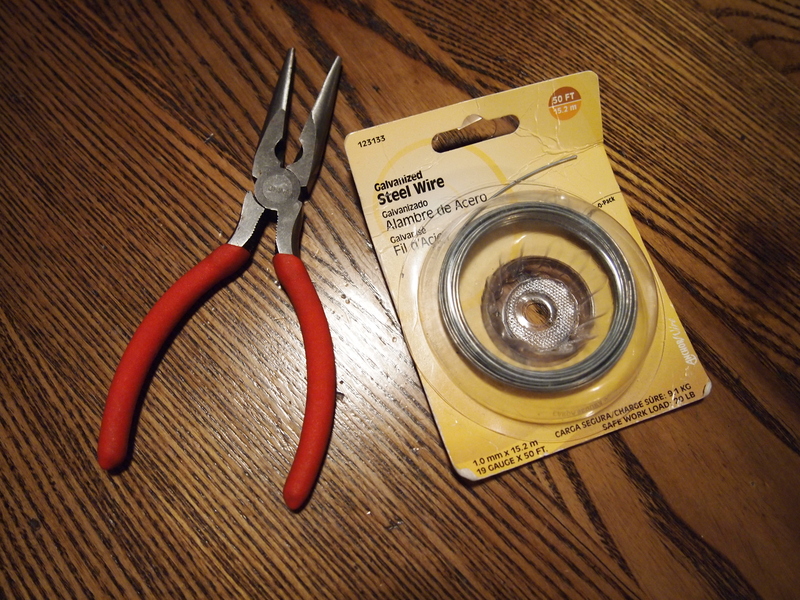 A trip to the local hardware store will get you all the supplies needed to build one: a pair of needle nosed pliers and wire in a gauge appropriate to your project. Pipe cleaners or chenille stems can be used instead of wire, but I find them to be a little too light duty for my needs; they support less weight and tend to break easily. I usually felt some core wool around the wire, being careful not to stab too hard so I don’t break the felting needle. Not every project is going to need an armature, but incorporating a skeleton into your work can sometimes be the answer to realizing your design goals.